In the spirit of Halloween, I’d like to take the opportunity to share some spooky information about scare quotes (also known as sneer quotes, shudder quotes, and sometimes quibble marks). To be honest, scare quotes are not spooky, but as long as I have your interest, read on! Scare quotes are a fairly recent phenomenon, and according to Merriam-Webster, they are intended to express skepticism. Since the advent of word processors, quotation marks around a single word or phrase are no longer used to provide emphasis. Now, they tell you to question or doubt the information. So, a problem occurs when writers use quotation marks to provide emphasis. These days, readers are most likely to interpret the quotation marks as scare quotes. I’ll provide some examples to show you what I mean. Our competitor claims to have made “significant profits” last fiscal year. The quotation marks imply that there is some doubt about whether the competitor is actually profitable. The restaurant always served “fresh” fish. Adding quotation marks around the word fresh suggests that the fish is not fresh. You probably don’t want to order the fish at this restaurant. Yesterday, I was chased by my neighbor’s “dog”: a poodle. The quotation marks give the impression that poodles are not actually dogs. Balderdash! Of course they are! They didn’t ask for those haircuts. These three examples are not intended to be sarcastic, but the quotation marks, which are being used to provide emphasis (albeit unnecessary) could easily be misinterpreted, leaving the reader with doubt and uncertainty (and maybe a chuckle). 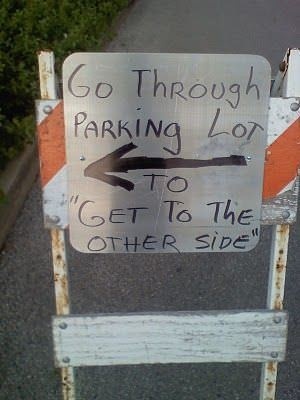 To avoid being misunderstood, do not use quotation marks for emphasis. You can use them when you are directly quoting someone, or for the titles of chapters in a book and song titles, etc., or when your coining a new word or phrase. And of course, you can use them to be sarcastic or ironic. No quotation marks were necessary in my three examples because no emphasis was necessary. What do you do if you want to emphasize a word or phrase? The JHA Style Guide tells us to use italics, but it warns to use them sparingly or they lose their significance. « Editor’s Corner: Oh boy!